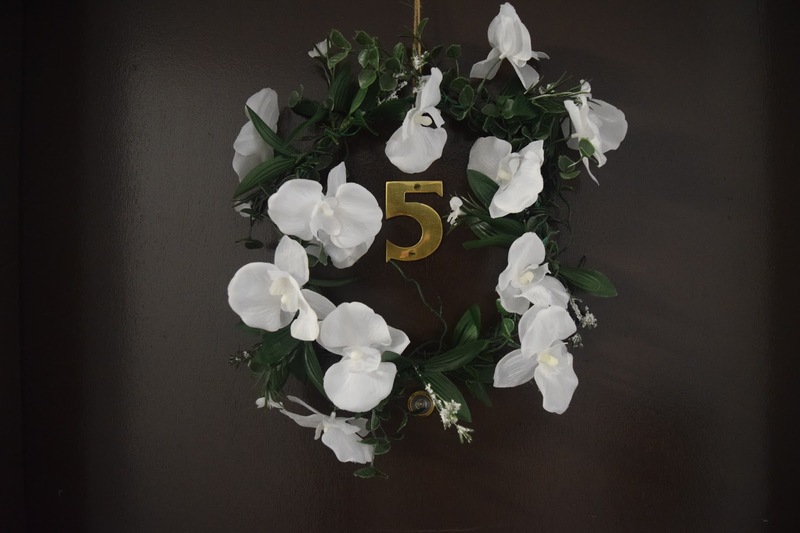 Every season in our apartment I have loved making a wreath for our door. It’s a little old-fashioned, but it brings a lot more life to the hallway. 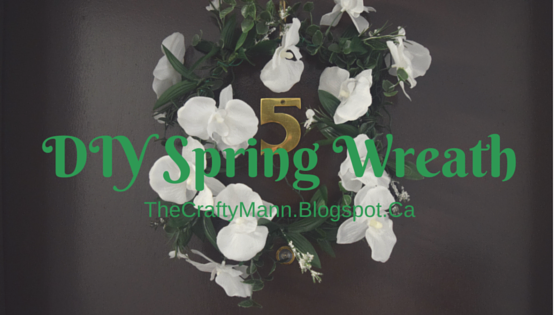 I went to Dollarama, my favourite super cheap crafting store and picked up a bunch of things for my wreath. Of course, I have a Pinterest board dedicated to wreath ideas. Base for the wreath – anything round in the correct size will do. I contemplated using a steering wheel cover from the dollar store, then found this planter which has removable side posts. You can also take a regular wire clothes hanger and bend it into a circle. 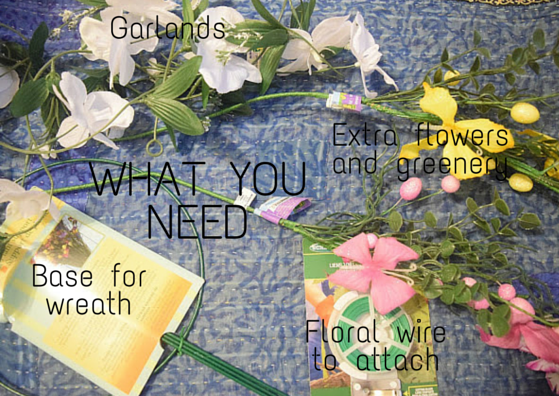 Floral wire – or twine to attache all the pieces together. I used twine on my fall wreath because it blended in with the grape vine I was using. I got the super thin, flat stuff that is easy to bend. 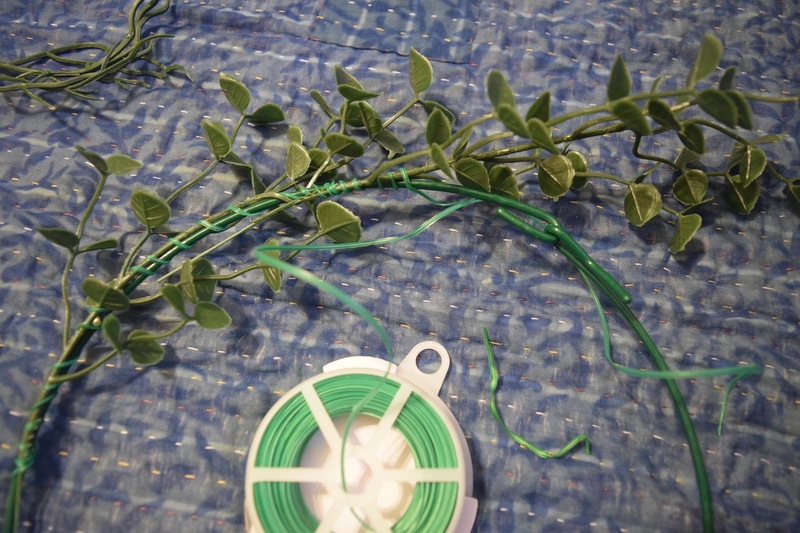 Any filler – if you want other greenery or flowers to attach to it, get some too. Separate the greenery from the extra stuff that you want. 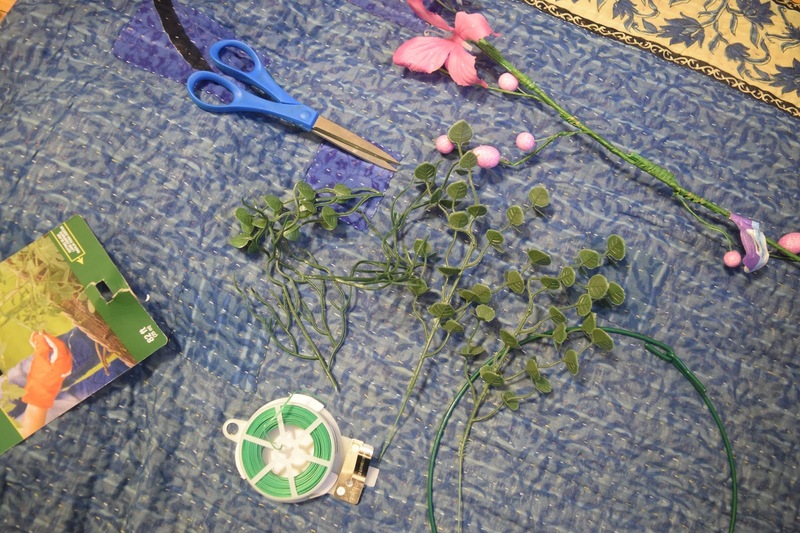 Use the wire to attach the greenery to the hoop so the flowers will have something to fix to. If you’re using rope instead, tie little loops with double knots around the hoop. With the wire method, you can wind it around to hold it especially tight. Finish attaching all the greenery and make sure you like it’s placement before you add the garlands. 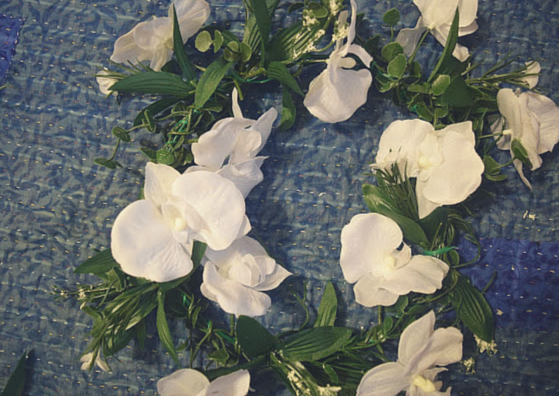 Wind the garlands around the wreath. I went pretty slowly and wound fairly tightly so that the flowers would stay front-facing when you’re done. 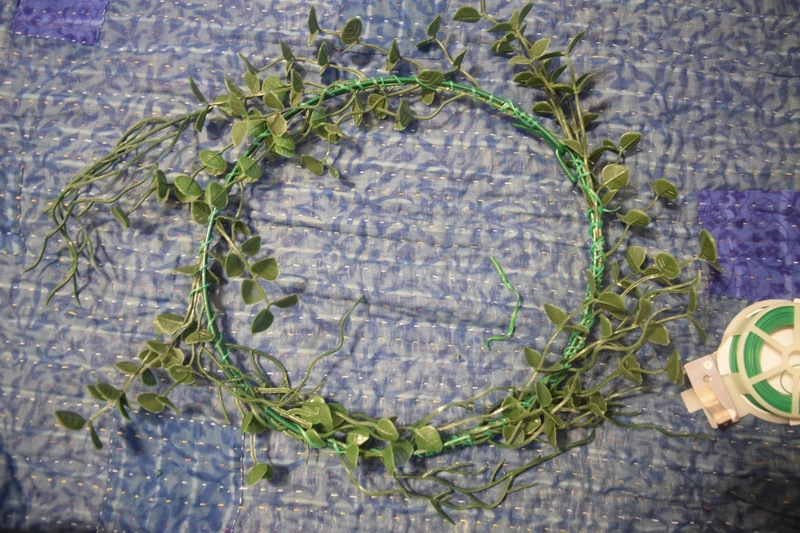 For my wreath I used two garlands which were both over a meter long. 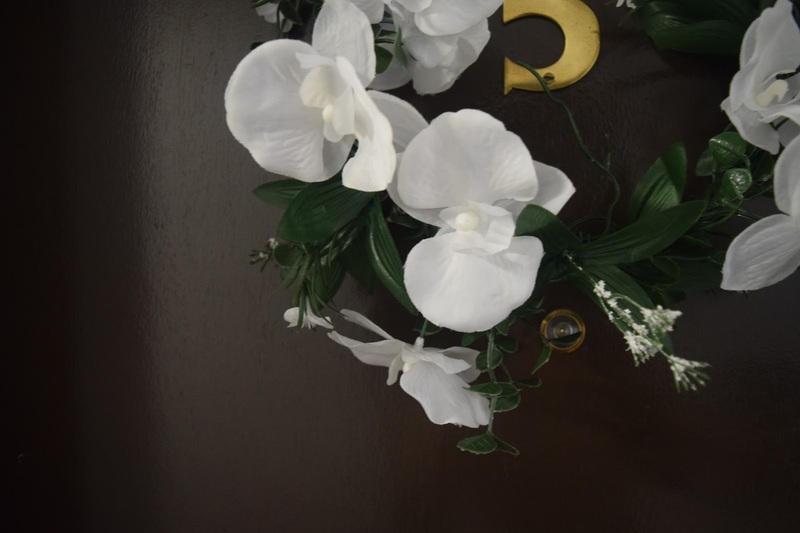 When the wreath is hanging up, adjust it so that the greenery and flowers are showing the way you want them to. What do you think? Do you love wreaths like I do? Have you made one for Easter yet? Exploring Ottawa, and blogging about fitness, food, decor, and books.